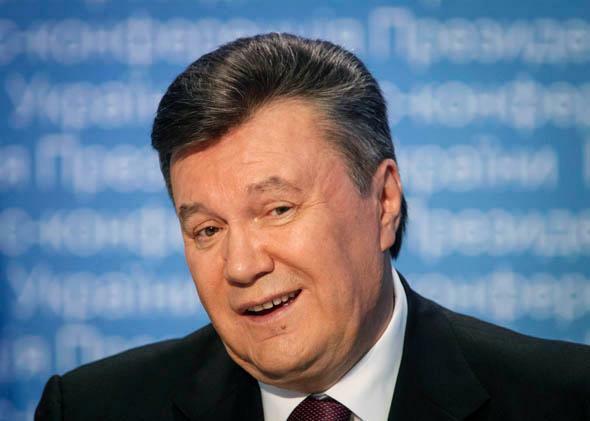 Ukraine protests: Yanukovych’s government appears ready to wait it out. It’s not enough to protest corrupt democracies. Real reform requires getting elected. Protesters want Ukrainian President Viktor Yanukovych out, but haven’t presented a clear alternative. LONDON—In the first week of the new year, in two very different parts of the globe, the citizens of two very different democracies were struggling with a very similar problem: how to reform a corrupt—but legitimately elected—political elite. In Kiev opponents of the current government are hunkering down for what looks set to become an extended street revolution. On New Year’s Eve, at the stroke of midnight, more than 100,000 Ukrainians gathered on the Maidan Nezalezhnosti, the capital’s central square, and sang their national anthem, “Ukraine Has Not Yet Perished.” A smaller group of protesters has not left the square at all since the Ukrainian president, Viktor Yanukovych, abruptly refused to sign a trade treaty with the European Union in November. The participants are for closer links to Europe, and against closer union with Russia. They are also against the authoritarianism that Russia represents, as well as its echoes at home: their own corrupt, oligarchic economy, their own murky security police. The latter beat up one particularly vocal Ukrainian activist on Christmas Day, and left her for dead. But while all of these things are said openly every day on the Maidan, there isn’t much evidence that anyone in power is listening. Yanukovych’s government gave up trying to clear the square by force—violence inspired more demonstrators—and now seems inclined to wait it out. It’s cold in central Kiev; people have jobs and families. It must be something to hear 100,000 people singing at midnight, but how does that change things? The crowd wants Yanukovych out, but an alternative has not yet emerged. A year ago a similarly broad and similarly inchoate reform movement in India had reached a similarly dramatic turning point. Throughout 2011 and 2012, Anna Hazare, an activist who uses the symbols and tactics of Mahatma Gandhi—simple dress, nonviolent protest, hunger strikes—mobilized hundreds of thousands of Indians to support his campaign against corruption and in favor of political reform. He had some success: His 12-day hunger strike in August 2011 forced a panicked Indian government to agree to pass new anti-corruption legislation. But after that, Indians began to drift away. A sense of stasis returned. The movement divided, and its leaders began to argue. One of them, Arvind Kejriwal, wanted to turn the street revolution into a political party. Hazare was against it: “Politics is not service,” he declared. “It is all about selfishness.” Kejriwal disagreed. He left Hazare and founded Aam Aadmi, the Common Man Party, a move that many deemed quixotic. Even his admirers thought it made no sense to challenge India’s large and well-funded mainstream parties. They stopped laughing when Aam Aadmi emerged the victor in Delhi municipal elections in November. I was in India last week, days after Kejriwal became chief minister of Delhi—the top executive of a city containing 10 million people—and no one was laughing then either. On the contrary, the Indian press marveled: Kejriwal is conducting meetings out of his tiny suburban apartment! Kejriwal wears a paper Gandhi cap! Within hours of taking office, he had banned water payment schemes that Delhi bureaucrats had long used to enrich themselves. Kejriwal may turn out to be a disappointment. He may indeed be corrupted by power. His party may not be strong enough to win national votes: In the southwestern city of Cochin, I was told that Aam Aadmi still had no local presence, though many hoped it would. But Kejriwal’s decision to join the fray, to institutionalize his movement, to enter the “selfish” world of politics and leave behind the purity of the street revolution has given him and his supporters the opportunity, at least, to bring about deeper change. The real test of Ukraine’s revolution is whether its leaders can now do the same. Indeed, this is the real test of any protest movement in any democracy: Can its members find a way to join the system in order to change the system? In the end, a street movement’s success isn’t determined by the crowds it can mobilize, the clever slogans its members chant, or even the government ministers it persuades to resign. Success is creating a real political alternative and then getting that alternative elected to power.